TMTG are proud to present their summer concert as they take you on a whirlwind adventure through the streets of Broadway and the West End! 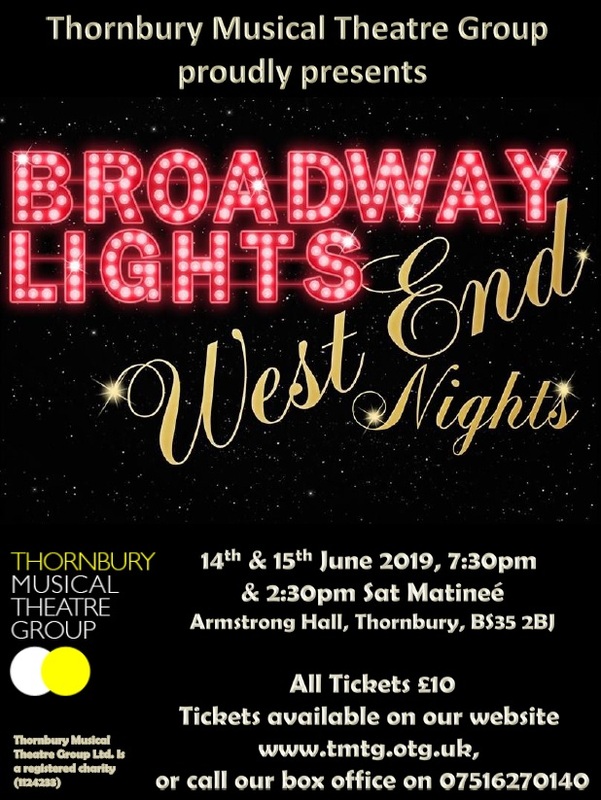 With a mixture of songs from classic past and exciting present theatre shows, Broadway Lights, West End Nights willbe sure to satisfy theatre buffs everywhere! Book early to avoid disappointment!